Terrorism remains one of the biggest threats to the international community in the twenty first century; the terror attacks of September 2011 on American soil highlighted the nation-state’s vulnerabilities towards these networks and organised crime. Terrorist groups have often been viewed in mono-dimensional terms as religious fundamentalist militants largely. How these groups were able to fund themselves to grow from relatively small actors to international multidimensional terror networks brought into question just how little the world understood these elusive networks. The terrorist threat is not static. Terrorists adapt and evolve in response to counter-measures as well as changes in their strategic environment. As the terrorist threat has evolved, the means by which terrorist groups raise, store, and move funds have grown more sophisticated which have often hindered government efforts to thwart terrorist activities. Studies show that terrorist groups learn from one another, exchange information on new technologies, and share innovations. This is particularly evident in the financing and resourcing of terrorist activities (Levit & Jacobson, 2010). Hezbollah, a terrorist group which finds its origins in Lebanon, has perfected this marriage between terror and organised crime. With an expansive network of splinter cells and various illicit activities across the world Hezbollah is able to fund itself well beyond survival and feeds into a variety of structured programs which range from political to social welfare. Under the circumstances, it is understandable perhaps when former Central Intelligence Agency (CIA) Director, George Tenet declared that, “Hezbollah, as an organization with capability and worldwide presence, is al Qaeda’s equal, if not a more capable organisation” (Quoted in Levitt, 2005: 3). 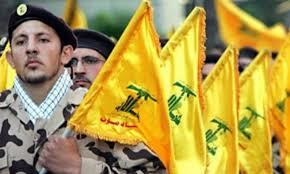 According to intelligence estimates Hezbollah needs around US$500 million annually to fund all its activities. Around a US$100 million of that comes from the Iranian and Syrian governments; the rest however is predominantly made from its vast criminal enterprise (Anti-Defamation League, 2010). This article will be investigating the criminal activities Hezbollah uses to fund itself; dissecting each illicit activity and provide examples through case studies. The first section focuses on Hezbollah as a terrorist group. It provides a brief history of the organisation, its structure and the various terror attacks which it has been involved in. The next section will focus on the various criminal activities which Hezbollah uses to fund itself including drug trafficking, kidnapping, diamond trade, intellectual property crime and cigarette smuggling. The final section will provide policy recommendations which can be used to curb these illicit activities; this includes current and proposed policy. Hezbollah has proven itself as a tangible threat to international peace and security and will continue to do so as long as its criminal network stays intact. The effectiveness of this threat to the future of the international political economy and to nation-states depends on how policy makers respond to these criminal activities today. Hezbollah meaning the “Party of God” began as a radical Shiite Muslim organisation established in 1982 in response to a series of events running up to the Israeli-Lebanese war. The group originated in Lebanon however has evolved to include supporters and members around the world. The first factor behind the creation of Hezbollah emanates during the 1960’s. Political appointments were made along sectarian lines due to the religiously diverse population in Lebanon. This, in turn, affected many of the Shia Muslims in the south of the country who felt marginalised politically and economically by this system. Popular dissent to this legislation grew within the marginalised communities which agitated for greater representation (Saad-Ghorayeb, 2002). The second influence in the creation of Hezbollah was the 1979 Iranian Revolution which resulted in the creation of an Islamic state and spurred Lebanese Shia Muslims on to follow suit. However, perhaps the most influential factor assisting in the creation of this organisation was the invasion of Lebanon by Israel in 1982 known as the Operation Peace for Galilee (Arena, 2006). After the creation of the Israeli state in 1948 and unrest in the region, Palestinians based in Lebanon stared attacking the northern borders of Israel. Following several years of these sporadic attacks Israel invaded Lebanon in an attempt to eliminate the Palestinian Liberation Organisation (PLO) for good. The invasion was by and large a success pushing the PLO’s defences all the way to Beirut and ultimately causing them to flee to surrounding Arab States. However the victory was short-lived, after many in the Shia community welcomed the presence of the Israeli Defence Force (IDF) in the hopes that Amal, a Shia party which was founded as the "Movement of the Dispossessed" in 1974, now could rule in peace were disillusioned by the fact that the IDF were intent on staying in Lebanon until a security plan was put in place; thus the Israeli’s were now as occupiers (Jaber, 1997). Pockets of Shia militants formed across Lebanon and started guerrilla attacks against Israeli targets within the country and with the help of the Iranian Revolutionary Guard came together under the umbrella name of Hezbollah or the “Party of God”. The IDF partially withdrew from Lebanon in 1985. However it seized a 15 kilometre stretch of land between the Lebanon/Israeli border as part of its defence plan. This stretch of land became synonymous with Hezbollah’s battle against the Israeli occupation and ultimately also gave the organisation the opportunity to prove itself until Israel finally withdrew from Lebanon in 2000 (Harik, 2004). Hezbollah has grown significantly since its inception from a guerrilla militia to a multidimensional organisation which consists of a party structure which contests elections, a social welfare branch and a standing militia with advanced military capabilities which is currently assisting the Assad regime in Syria against rebel forces. Hezbollah continues to have a strategic partnership with Iran or as one American defence expert put it more of a patron/proxy relationship. The organisation has become more hierarchical in nature and consumes and distributes massive amounts of resources through its criminal activities and support from diaspora communities across the world. The organisational structure of Hezbollah has several different tiers, the first is the Consultative Council or Majlis al-Shurawhich is made up of Shia clergy. This seven man council oversees all the rest of the tiers of the organisation and in many ways is the highest decision making body within the organisation. The second tier consists of the Executive Administrative Apparatus or Shura Tanfiz which oversees the party’s parliamentary caucus, the judicial council (which serves as a court system to deal with conflicts within the Hezbollah controlled areas) and the executive council which deals with the day-to-day running of the organisation through various units or desks. The third tier, which is divided up into several desks/units, deal with civic duties ranging from healthcare to education. There are two additional components that fall outside these tiers which report directly to the Consultative Council, they are the Islamic Resistance and the Security Apparatus, these two components encompass Hezbollah’s militia and criminal activities which is used to fund the organisation (Arena, 2006). In April 1983 Hezbollah attacked its first major western target when one of its operatives drove a van packed with explosives into the US Embassy in Beirut, killing 63 people. A second attack followed in October 1983 when an explosive-laden pickup was driven into the US Marine barracks also in Beirut and detonated, killing 241 Marines. On the same day 58 French paratroopers were killed in the Beirut when another vehicle riddled with explosives was detonated near a French barracks(Harik, 2004). In June 1985, a plane (TWA Flight 847) was hijacked by Hezbollah on route from Athens to Rome. The 143 passengers and crew members were held hostage were held hostage for four days until they were released by Hezbollah (Testrake, 1987). The focus soon shifted to target more Israeli nationals and in 1992 Hezbollah detonated a bomb outside the Israeli Embassy in Buenos Aires, Argentina killing 32 people. Since these attacks in the early 1980’s there have been countless attempts by Hezbollah’s terror wing on a variety of targets ranging from Israeli tourists to foreign diplomats stretching from Asia to South America. Hezbollah has grown its operative’s network across the world and its terror attacks have become more sophisticated and concise. 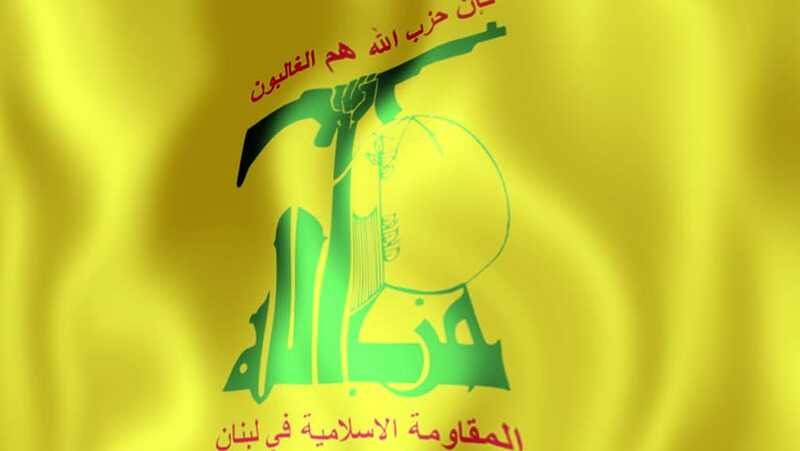 Hezbollah has a network of affiliates across the world who participate in criminal activity in one way or another to fund the organisations vast resource needs. These activities make use of organised crime syndicates and opportunities around the world, and they are rapidly expanding. For the purpose of this article we will only be looking at five criminal activities which Hezbollah uses to fund itself however there are many more with new investigations uncovering new initiatives at a rapid rate. Hezbollah has been involved in the cocaine business for many years as Lebanese and Syrian farmers used to plant opium however that has come to an end since both countries joined international drug eradication initiatives during the 1990’s which stopped the opium production (Berry , et al., 2002). According to the International Policy Institute for Counterterrorism, the success of the government-led eradication program prompted Hezbollah to find an alternate drug supply across the world, effectively entering Hezbollah into the international drug market. An investigation revealed a link between the “Barakat clan” a prominent family in Lebanon that has ties to Hezbollah and the international drug market after Hassan Abdallah Dayoub, was arrested at the Asuncion’s Silvio Pettirossi Airport. He was in possession of 2, 3 kg of cocaine hidden in an electric keyboard. It is believed that he was a drug mule on his way to sell the drugs in Damascus (Arena, 2006). In 2005, Rady Zaiter, a restaurateur was caught in Quito, Ecuador for trafficking cocaine from Europe, Asia and South America. The cocaine was hidden in suitcases with false bottoms, in the stomachs of drug mules and in a shipment work one million US dollars. According to the Associate press up to 70 percent of the money was bound for Hezbollah (MSNBC, 2005). Another incident was reported in 2008 when German authorities at Frankfurt airport arrested two Lebanese men carrying an estimated eight million Euro worth of cocaine bound for Hezbollah. The two detainees were trained in the same Hezbollah camp however they were picked up by authorities after traces of cocaine was found on bills they were carrying with them. They were implicated in a drug ring which moved drugs between Lebanon and Europe. In 2009, Admiral James Stavridis, then commander of US Southern Command that West Africa was being used by Hezbollah as a drug springboard to get the product into Europe this was later backed up by Yuri Fedotov, head of the UN Office on Drugs and Crime, who stated in meetings with the UN Security Council that 'the West African transit route feeds a European cocaine market which in recent years grew fourfold …we estimate that cocaine trafficking in West and Central Africa generates some $900 million annually'(Levit & Jacobson, 2010). The largest Hezbollah drug trafficking scheme was discovered January 2011 when the U.S. Department of Treasury identified a Hezbollah operative with the name of Ayman Joumma, along with several other business colleagues who had ties to Hezbollah. The investigation had shown that Joumma had made as much as US$200 million a month from the sale of cocaine in several regions whilst using money-exchange houses and by bulk cash smuggling through the Lebanese Canadian Bank (LCB) using different accounts (Levitt, 2013). It is very hard to trace back the illicit diamond trade to Hezbollah for two reasons, the first is that there is no tracking system for Diamonds other than the Kimberly process however that does not account for raw unpolished diamonds and the second is that because so many Lebanese diaspora are involved within the trade of diamonds on the regulated market and black market within Africa it is hard to keep track. A blood diamond, also called "conflict diamond" or "war diamond," refers to the precious gem mined in war-torn countries mostly in Africa and sold illegally to profit organised crime or other illicit activities. The miners make use of extortion or slave labour to mine these rare gems(Passas & Jones, 2006). In November 2001 the Washington Post published an article which claimed that terrorist groups including Hezbollah had made millions of dollars from the illicit diamond trade which took place predominantly in Africa between the diaspora communities which are affiliated to Hezbollah and rebel groups, criminal syndicates and corrupt officials (Farah, 2001). Hezbollah’s diamond dealings on the African continent is seen in their support of various rogue regimes and their proximity to Liberia’s former warlord-president Charles Taylor (Levitt, 2005: 10), Zaire’s (now the Democratic Republic of the Congo) kleptocratic President Mobutu SeseSeko, as well as Zimbabwe’s Robert Mugabe’s regime. In all three cases it was not ideological conviction but rather the criminal enterprise around diamond smuggling which was the glue which bound these parties together. Consequently conflict diamonds from West Africa via Hezbollah-aligned Lebanese dealers found their way to Beirut, Antwerp, Dubai and Mumbai. Similarly, a Partnership Africa Canada report suggested Lebanese involvement in the smuggling of rough diamonds to Dubai and Mumbai. Whilst ruling apparatchiks drew benefits from this illicit trade, their people languished in poverty and their democratic aspirations were suppressed (Solomon, 2011: 52-53). Due to the criminal nature of Hezbollah’s enterprise, the exact figures of its proceeds from its diamond dealings are unknown, it is said to accrue tens of millions of dollars per annum. Some insight into this occurred on 25 December 2003 when a charter flight – UTA 141 – from Cotonou, Benin to Beirut crashed killing all the passengers including senior Hezbollah members. They were carrying US$ 2 million in cash (Levitt, 2005: 4-5). The vulnerabilities in diamond sector include small scale mining across Africa this informal trade is exacerbated by porous borders, corruption and little to no legislation governing the informal trade of diamonds within the content. Areas such as Sierra Leone became notorious for the sale and export of blood diamonds, terror groups use the partial collapse of the state to ensure they can take advantage of the markets. For example in the Congo, Hezbollah buys diamonds directly from the miners and local merchants at a fraction of what they really are worth thereafter they export them to countries like Beirut, Bombay and Dubai to sell on the open markets and use the profits to fund their terror activity . The Deputy Chief of the US Embassy in Sierra Leone had the following to say, “One thing is incontrovertible is the financing of Hezbollah... It’s not even an open secret, there is no secret. There’s a lot of social pressure and extortionate pressure brought to bear: ‘You had better support our cause, or we’ll visit your people back home’” (Rapaport News, 2004). “The legal rights that correspond to intellectual activity in the industrial, scientific, and artistic fields. These legal rights, most commonly in the form of patents, trademarks, and copyright, protect the moral and economic rights of the creators, in addition to the creativity and dissemination of their work, Industrial property, which is part of intellectual property, extends protection to inventions and industrial designs. ” Therefore, IPC refers to “...the counterfeiting or pirating of goods for sale where the consent of the rights holder has not been obtained” (Arena, 2006). IPC is a low risk high rewards crime because the potential crime (prison time) is relatively low compared to the monetary which this crime has if caught. Hezbollah is involved in IPC in several ways, they produce the material, distribute the material and use the money to fund their terror activities. They are also involved in a more indirect manner as well by receiving a kickback from other groups’ involvement in the activities via third parties. It appears Hezbollah is indirectly involved in IPC as its members and supporters are committing the act of pirating intellectual property and then funnelling the proceeds back to the group via third parties. Khalil Mehri, a Lebanese businessman, was arrested in February 2001 at his apartment after police found software with fund-raising propaganda for Hezbollah, documents showing money transfers to Canada, Chile, Lebanon for more than US$700,000 which was syphoned to Hezbollah. Mehri was also charged with piracy of computer software and computer games, he sold millions of dollars’ worth of counterfeit products and sent most of the money to Hezbollah (Berkin, 2011). Paraguayan authorities soon discovered another link to IPC operations in the Tri-Border area (TBA) of Argentina, Brazil, and Paraguay to Assad Barakat. He immigrated to Paraguay at the age of 17 with his father to escape the turmoil of the Lebanese civil war. Assad worked as a street peddler before opening Casa Apollo, an electronics wholesale store in a stall at the Page shopping gallery in Ciudad del Este, and Barakat Ltd., an import-export business, which were used as front companies to operate a variety of illegal fund-raising operations. Barakat has been described as the leader of Hezbollah’s financial network in the TBA and having connections to many high-ranking Hezbollah officials. He is reported to be the deputy to Hezbollah financial director, Ali Kazan, and primary liaison in the TBA for Hezbollah’s Secretary General, Hassan Nasrallah. Barakat is also believed to have served as a treasurer for Hezbollah and carried contributions to the organization in Lebanon. When Paraguayan authorities raided Barakat’s shop in September 2001, they discovered a money remittance operation evidenced by monthly transfers to the Middle East totalling US$250,000, bank drafts of US$524,000 to Lebanon, two co-conspirators who sent half a million dollars to Canada, Chile, and the US, and a letter from a Hezbollah commander congratulating Barakat for financing activities in the Middle East (Farah, 2001). Another criminal activity which is very popular to Hezbollah internationally is the trading in counterfeit cigarettes or bypassing tobacco regulations to make a greater profit elsewhere. The most famous case in North America is that of a crime ring associated to Hezbollah who purchased cheap cigarettes in North Carolina which has a rate of 50 cents a carton and transported them to Michigan which has a much higher tax rate approximately US$7.50 a carton. The group therefore used the gap in American Tobacco regulations to make thousands of dollars which was sent to Hezbollah. The smugglers made approximately US$13,000 a trip per load and it was estimated that they had bought around US$8 million worth of product over several years. Agents from the Federal Bureau of Investigation approached the federal prosecutor, informing him that they had stumbled onto a Hezbollah cell operating out of Charlotte, North Carolina, and explained that they already had two of the cell members under electronic surveillance (Horwitz, 2004). There are several policies within the international community that regulate the financing of terrorist organisations, the problem with Hezbollah however is that because it is such a multifaceted organisation many states and organisations do not classify it as a terrorist group but as a political party. This becomes a problem because giving money to Hezbollah therefore is not an act of terrorism but is permitted by many states across the world and in all the major international organisations. Another problem that arises from this is that because Hezbollah is not classified as a terrorist organisation many checks and balances which would ordinarily kick in on systems across the world don’t because of this distinction and therefore the criminal activity can continue without any interruption. Hezbollah was declared a terrorist organisation by the United States in 1997 following the 1980’s bombings however it wasn’t until 2013 when the European Union (EU) gave the group similar recognition. The EU's decision to blacklist Hezbollah was made partly due to information that Hezbollah was conducting criminal activities within the Union. This was discovered when a Cypriot court convicted Hossam Yaccoub, who had dual Swedish-Lebanese citizen and Hezbollah operative, to a four year prison sentence. The sentence was given in an historic judgement which finally opened Hezbollah up to scrutiny as a terrorist organisation within the European Union. The judgement read as follows: 'It has been proven that Hezbollah is an organisation that operates under complete secrecy. There is no doubt that this group has multiple members and proceeds with various activities, including military training of its members. Therefore, the court rules that Hezbollah acts as a criminal organisation'(Levitt, 2013). The problem however is that the EU did not classify Hezbollah as a terrorist organisation but only its military wing which means that Hezbollah can continue to move and raise funds within the EU without it being illegal due to the fact that the money is linked to the party and not to the military wing. Furthermore this legislation puts no ban on travelling or contact with the group it only regulates part of the organisation which will never identify itself within Europe in the first place which leaves loopholes for Hezbollah to continue operating its social welfare fundraising organs within the EU which are often used as smoke screens to raise funds for terrorist activities. The United Nations faces a similar problem as the EU; the UN has got legislation and committees which deal with curbing terrorist funding however the UN does not classify Hezbollah as a terrorist organisation. Therefore committee 1267 which deals with listing of terrorist groups and funding specifically to Al-Qaeda, cannot outright ban financial interaction with Hezbollah nor has it been able to recognise even a fraction of the organisation as a terrorist group because the group isn’t linked to the Al-Qaeda network (Security Council, 2011). The National Treasury Department of the United States passed the Money Laundering and Financial Crimes Strategy Act in 1998 which it amended in 2001 which requires banking agencies to develop anti-money laundering training for officers, develop National Money Laundering Strategies and created the High Intensity Money Laundering and Related Financial Crime Area (HIFCA) Task Forces to work with law enforcement to identify and investigate money laundering (United States Treasury, 2014). South Africa passed similar legislation called the Financial Intelligence Centre Act (38 of 2001) which aims to curb money laundering and terrorist financing however South Africa unfortunately also does not recognise Hezbollah as a terrorist group (Gleason, 2013). The current legislation is not enough to curb Hezbollah’s criminal activities or funding of its terrorist activities. The lack of political leadership to see Hezbollah for what it is, a sophisticated terrorist organisation, creates an environment which encourages criminal activity rather than preventing it therefore more needs to be done in the policy arena to ensure Hezbollah’s criminal acts are brought to justice and to stop the organisation’s financing of terrorism. There are a series of checks and balances which can be introduced to ensure that Hezbollah’s financing of terrorism is stopped however due to the ever changing nature of the criminal enterprise it is necessary for institutions and nations to regularly review these processes to ensure that there are no loopholes and that illicit activity is caught well before it becomes a syndicate to fund terrorism. The Triborder of South America, which borders Argentina, Brazil and Paraguay needs to be regulated more effectively in order to stop the trade in intellectual property. The instillation of better border controls and patrols by law enforcement agencies will ensure that this region is less of a criminal hotspot for Hezbollah and other organised crime. This will however require mature political leadership which is willing to deal with corruption within state facilities in the area as well. Furthermore, we believe that through international cooperation with larger states like the USA could lead to successfully ensuring that this area is regularly and thoroughly monitored; a deal can be reached much like the US patrolling of the Panama cannel. Al-Manar which is Hezbollah official television station which is used for propaganda and fundraising has recently been banned by France due to hate speech on the channel (Carvajal, 2004). Policy regulations need to be revised across the word to ensure that programming which supports hate speech and supports terrorism should not be allowed to air which will result in more bans. However I believe that this could also be an educational opportunity because so many Lebanese live abroad and subscribe to Al-Manar I believe if programming is somehow regulated to break down Hezbollah’s image within the diaspora it will go a long way to stop its financing. The Hezbollah International Financial Prevention Act which was passed by Congress in the United States this week aims to restrict the organization’s ability to use its funds to support global terrorist activities in the Middle East and cut off a major source of terrorist support. If this Bill is ratified and becomes law it will go a long way to ensure that terrorist funding is cut off by monitoring and stopping funding to Hezbollah via donations and money laundering. Hezbollah’s counterfeiting of official documentation has become an increasing problem. During a FBI sting operation Hezbollah senior figure Said Mohamad Harb indicated to officers that he could get any passports and visa stamps they desired. He also offered several varieties of passports including genuine books from Italy and the Czech Republic. During a follow-up meeting he provided officers with fraudulent British and Canadian passports with the biographical information he was provided by the FBI (Levitt, 2013). This example illustrates that more should be done to ensure nations work together to curb counterfeiting of travel documents however this will require a united stand through which nations would have to recognise Hezbollah as a terrorist organisation. Hezbollah is currently in a very difficult financial position, due to the sanctions put on Iran because of its Nuclear Programme, Iran has reduced its funding to Hezbollah significantly coupled with the civil war in Syria which Hezbollah has taken an active role in, the organisation is using a substantially more money than it did in the part while receiving less income. Therefore the current status quo is suffocating Hezbollah financially and if the United States keeps the civil war in Syria going by funding the rebels Hezbollah will have to change tactics or lose its grip in Lebanon. This is not so much a policy as what it is a strategy and the human rights violations in Syria would have to be properly assessed for this to legitimately become a working plan however I do believe it has some merit. The proper implementation of current policy like the Kimberly process and a global regulation on tobacco taxes will also go a long way in preventing criminal activity which feeds into Hezbollah’s terrorism financing. It comes down to decisive and responsible political leadership which will ensure that the necessary measures are put in within the policy arena to root out terrorist financing through illicit activities. Hezbollah’s financing through criminal activities is on the rise, with new cases being found in areas of Europe, Asia, Africa and America serious policy interventions are needed to curb this problem. Terrorism and criminal activity are likely to overlap even further in the coming years as terrorist organizations turn to new markets as countermeasures restrict them the art of these crimes are just becoming more sophisticated. Hezbollah is in an interesting financial situation due to the conflict in Syria and sanctions in Iran and the international community has for the first time in decades the opportunity to make a tangle difference by stopping Hezbollah’s funding as much as possible. Whether or not this will materialise remains an open question however if Hezbollah’s growth over the past several years has taught us anything it is that this organisation has moved well beyond its guerrilla war tactics and has become a multidimensional organisation which shouldn’t be underestimated. There seems to be little consensus among writers and academics about what should be done about Hezbollah or how the organisation should be classified. 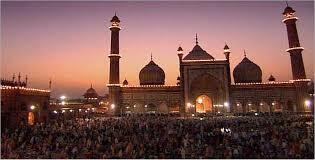 However there is an urgent need for a political which will provide a unilateral opinion and strategy to these problems. According to literature used in this article, it can be deduced that Hezbollah is increasing its footprint in the word through its criminal activities and networks. This link between criminal activity and terrorism is undeniable with all the different cases stated above. Terrorism and the funding thereof remains an international problem which can be seen by how effectively Hezbollah runs its organisation and its financing. Anti-Defamation League, 2010. Hizbullah’s International Reach. [Online] Available at: http://www.adl.org/terror/hezbollah_print.asp [Accessed 12 08 2014]. Arena, M. P., 2006. Hizballah’s Global Criminal Operations. Routledge: Global Crime, 7(4), pp. 455-470. Berkin, C. 2011. Terror in the Jungle: Hezbollah's Presence in the Triborder Area, University of Florida International Review. Winter 2011, pp. 56-69. Berry , L., Curtis, G. E., Hydson, R. A. & Kollars, N. A., 2002. a global overview of narcotics-funded terrorist and other terrorist groups. United States: Federal Research Division, V(1), pp. 1-20. Carvajal, D., 2004. New York Times. [Online] Available at: http://www.nytimes.com/2004/12/15/news/15iht-t5_17.html?_r=0 [Accessed 12 August 2014]. Cohler, S., 2011. University of South Carolina: American Diplomacy. [Online] Available at: http://www.unc.edu/depts/diplomat/item/2011/0104/comm/cohler_hezbollah.html [Accessed 12 August 2014]. Ernst, D., 2014. The Washington Times. [Online] Available at: http://www.washingtontimes.com/news/2014/apr/3/house-committe-hopes-choke-hezbollah-funding-new-l/#ixzz3AS0aTNBh [Accessed 12 08 2014]. Farah, D., 2001. Al Qaeda cash tied to diamond trade: Sale of gems from Sierra Leone rebels raised millions, sources say. [Online] Available at: http://www.washingtonpost.com/ [Accessed 12 August 2014]. Gleason, D., 2013. No action against terror cells in South Africa. [Online] Available at: http://www.bdlive.co.za/opinion/columnists/2013/05/22/no-action-against-terror-cells-in-south-africa [Accessed 12 August 2014]. Hotwitz, S., 2004. Cigarette Smuggling Linked to Terrorism. US Department of Justice, Bureau of Alcohol, Tobacco, Firearms and Explosives. Washington, D.C. 8 June 2004. Harik, J. P., 2004. Hezbollah: The changing face of terrorism. 1st ed. New York: I.B. Tauris & Co Ltd.
Jaber, H., 1997. Hezbollah: Born with a vengeance. 1st ed. New York: Columbia University Press. Levitt, M. 2005. Hezbollah: Financing Terror Through Criminal Enterprise. Testimony to the Committee on Homeland Security and Governmental Affairs, United States Senate, 25 May 2003. Levitt, M. & Jacobson, M., 2010. Tracking Narco-Terrorist Networks: The Money Trail. The Fletcher Forum of World Affairs, 34(1), p. 118. Available at: http://www.washingtoninstitute.org/policy-analysis/view/hezbollah-as-a-criminal-organisation [Accessed 12 August 2014]. MSNBC, 2005. Police link Ecuador drug ring to Hezbollah: Authorities bust operation suspected of financing Muslim group. [Online] Available at: http://www.newsweek.co.uk/id/8312121/ [Accessed 12 August 2014]. Passas, N. & Jones, K., 2006. Commodities and Terrorist Financing. Journal on Criminal Policy and Reseach, 12(1), pp. 1-33. Rapaport News, 2004. Hizballah extorts diamond profits from Lebanese, U.S. says. [Online] Available at: http://www.rap.net.news/newsitem.asp?num ¼ 9852&type ¼ all&topic ¼ conflict [Accessed 12 August 2014]. Saad-Ghorayeb, A., 2002. 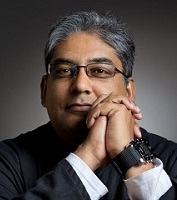 Hizbu’llah: Politics and religion. 1st ed. Sterling: Pluto Press. Security Council, 2011. United Nations. [Online] Available at: http://www.un.org/sc/committees/1267/ [Accessed 12 August 2014]. Solomon, H. 2011. The Globalization of Terror: Hezbollah in Africa, New Agenda, Issue 43, Third Quarter 2011. Testrake, J., 1987. Triumph over terror on Flight 847. 1 ed. New Jersey: Revell Company. United States Treasury, 2014. Financial Crimes Law Enforcement Network. [Online] Available at: http://www.fincen.gov/news_room/aml_history.html [Accessed 12 August 2014].